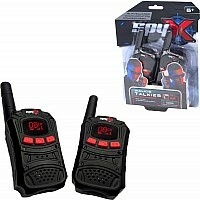 SpyX Spy Walkie Talkies - a Jr Spy's first stealth communication tool. 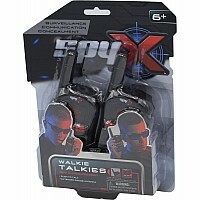 A fun easy to use Walkie Talkie Set for our youngest spies. 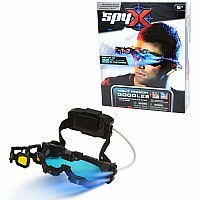 Great for buddy play, and playing spy with your friends. 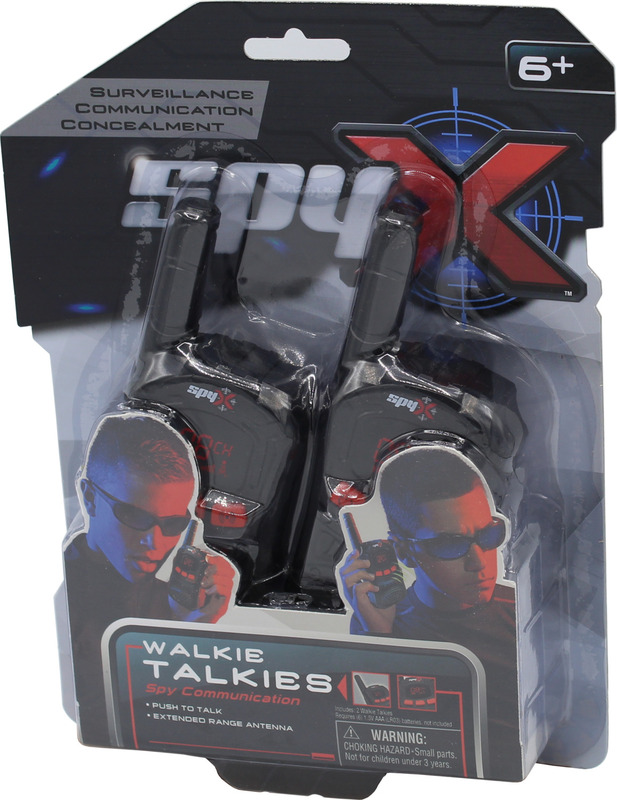 Keep in contact with your fellow agents on any top secret mission with these Spy Walkie Talkies from SpyX. A sleek ergonomic design to fit the hands of our youngest spies. 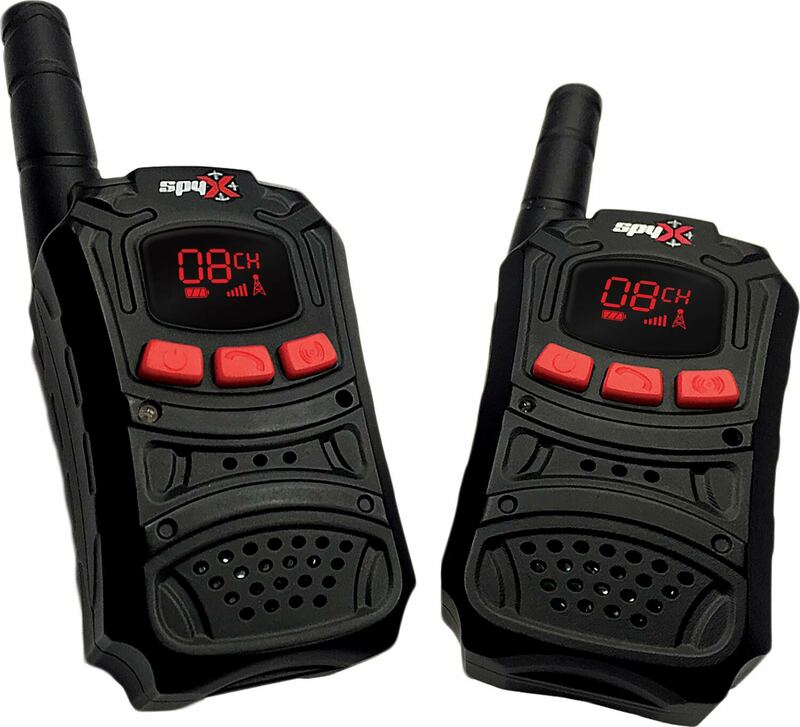 Featuring three buttons on the front from left to right: on/off button, talk button, call button. Talk to your fellow spy up to 400 feet away, and use the call button to get their attention. 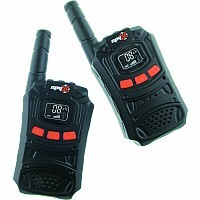 These walkie talkies also feature a built in clip belt clip and interphone safety flexible antenna. 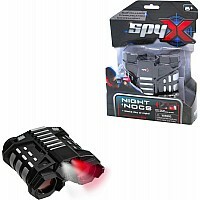 SpyX provides junior agents with all of the gadgets needed to spy like a pro. Playing spy is a fun way for kids to use their imagination while learning valuable skills through role play. Fun toy for ages 6+. 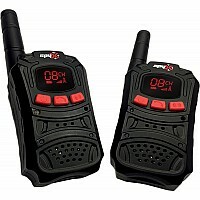 Ergonomic Design Built for Small Hands, and Belt Clip for Hand Free Spying - This is your child's first REAL walkie talkie that REALLY works! 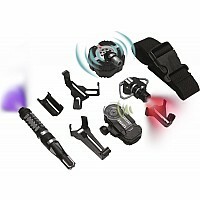 Up to 400ft range - Just right for Jr. Spies! 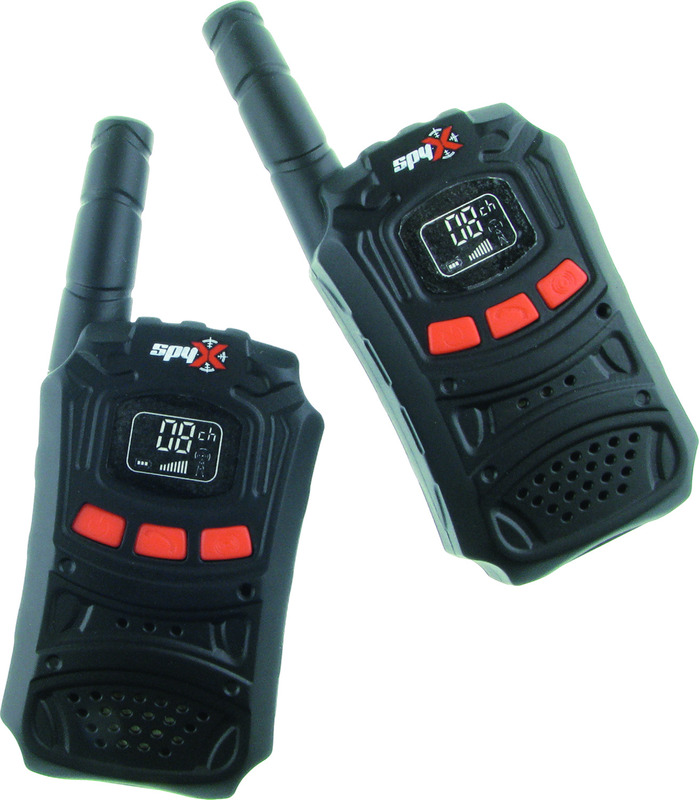 Durable Design With Interphone Safety Flexible Antenna, Strong for Rough Play. Call Feature to Call Your Fellow Agent. 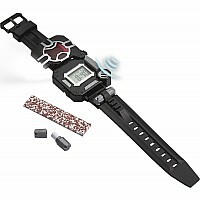 Great for Buddy Play. Measures approximately: 6.00 x 2.00 x 2.00 inches..